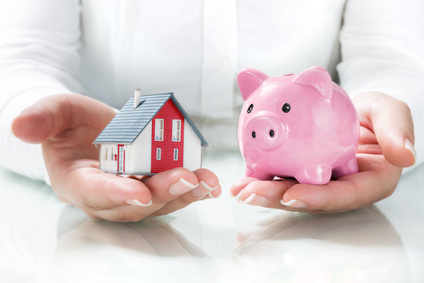 So You've Bought An Investment Property - What Now? You are here: Home / Make Money / So You’ve Bought An Investment Property – What Now? 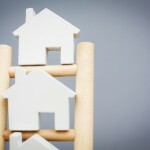 There are few more sound ways of ensuring your financial future than investing in property. Even through the worst of times, the housing market tends to have an ability to sustain itself – prices might drop, but there will never be a total shortage of people needing homes. If you can invest in property and thus meet some of that demand, then you’re making a wise choice. The only problem is… what do you do with the property? After all, finding and sourcing what you want to buy is the easy part. It might not feel like it at the time – but what happens afterwards is enough to make the purchasing part feel like a walk in the park. It’s not like the moment you get the keys to your new investment that the work is done. In fact, it’s only just beginning – but what do you want to do with your new financial future assurance? Well, it’s always an option – and it’s definitely one worth considering if you don’t have a lot of spare time on your hands. One of the reasons property tends to be such a sound investment is because you can do nothing at all and still make a profit. All you need to do is sit tight, weather a few economic storms, see a surge in house prices and sell while the iron is hot (so to speak). You might need to clean through the house before putting it up for sale, but apart from that, you can be as hands-off as you want to be. This is a risky strategy in that you are relying on a rising market to do the profit-making for you, but if you’re short on time and don’t need an immediate return, then it’s worth considering. If you want to start earning money on your investment immediately (especially helping to cover the cost of the mortgage), then renting your property out is a good choice. Of course, it’s not the most stress-free of options. There will be regulations you have to adhere to, some of which may require a fair amount of modifying to ensure the property is fit to rent. You also need to think about whether or not you truly have the time to deal with the stress of finding, securing, helping, and dealing with tenants. Some tenants will be excellent and treat the house as if it is their home; others… might not be. Dealing with this on top of maintaining the building and legal side can be stressful, often feeling like a part-time job rather than an investment in the future. You do always have the option of bringing in a professional to help with this side of things, so if it’s an area you might struggle with, then go ahead and select a property manager who can act in your interest through the whole process. On the upside, you should be able to make back enough in rent to cover your mortgage, additional expenses, and have a little leftover to save. There’s also the advantage that the property is still yours, so if there is a sudden boom in the housing market, you could still give notice to your tenant and then sell on. Finally, improving the existing property takes the longest in terms of time, but can deliver the most in terms of rewards. This strategy would see you adding to, improving, and renovating the property to give it more value. It could be relatively small cosmetic changes in return for a small (but still worth having) profit, or you could build extensions and make huge structural changes for an even bigger payday. This option requires two things: 1) extra funds available for any work that you want to do and, 2) time available to manage such a development. However, if you’re willing to put in the hours, it could deliver the biggest return out of all of these options. The beauty of property investment is that any of the three options should stand you in good stead when it comes to your financial future. Even if you just sit back and let the housing market do the work, you’re still likely to end up the better off thanks to your investment. You therefore have the luxury of being able to make the decision that works for you, so all that’s left to do is decide which option appeals to you – and your lifestyle – the most.